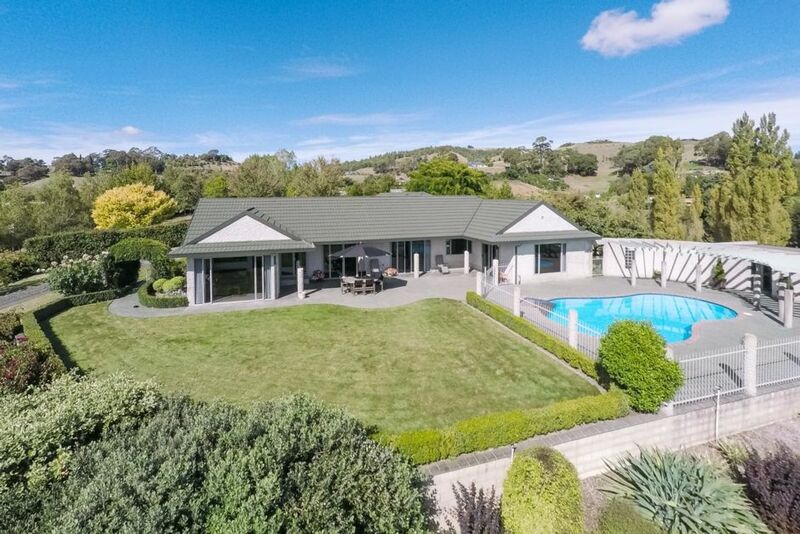 Our family friendly home is nestled in the Havelock North country side on a 4 acre property. With 270-degree views from Te Mata Peak and out to the snow-capped ranges. Our spacious house has 4 large bedrooms, 2 bathrooms, and large living area with separate-but-central kids playroom. The main lounge features a large smart TV great for entertaining or relaxing. The open plan kitchen and indoor dining area features a large central granite island with surrounding stools and inbuilt speakers, perfect for sipping on a glass of wine and enjoying the surrounding views all year round. The lounge and dining opens out to a large outdoor entertaining area with a table for ten, BBQ and lawn. Adjacent is an enclosed inbuilt saltwater pool and shower rooms. Enjoy the serenity of the large property with our peaceful cows and surrounding wildlife. Make yourself at home and feel free to use the tea, coffee, cooking basics etc. We have swings, outdoor toys and bikes as well as a large assortment of books, toys, games and puzzles inside. Our property is only a 5-10 minute drive to several parks and reserves including the Keirunga Railway, the Hawke’s Bay cycle trails and Te Mata Peak with its numerous walking and bike trails. Highchair also available if needed. During horse of the year the paddocks can be used for horses. I am a Hawke's Bay girl who grew up around these parts and loved it. I have lived and travelled to many other countries but have returned to Havelock North to raise my family. We get the best of everything around here and absolutely love living here. Views of Te Mata Peak and all the way out to the ranges. Large living room with smart TV and DVD player. Open plan kitchen/dining. Inside table seats 6, with spare seats for extras. The outdoor BBQ seats 10. Board games and outdoor games. Lovely home with everything you need for a stay away. Amazing views, Loved it. Fabulous house, couldn’t have been more perfect for our family. Great set up for kids, a fully equipped playroom and lots of out door toys and games. Beautiful views of the countryside, very tranquil and only a short drive to town. Immaculately clean. Just the place to be to set up and explore the Hawkes Bay region. Close to town, but far enough away to be secluded, quiet and relaxed. The views around the property were awesome too. The pool was ideal to cool off after a long day sight seeing and enjoying what the region has on offer. The house had everything you would need to enjoy a home away from home. The owners were great in their communications. Highly recommended. Thank you.